Saving Greys, by GREY2K USA Worldwide: What Will Greyhound Race Promoters Say Next? "Keep pressing grey2k - force them into defense mode - do not allow them to play offense. Make them spend time and resources defending themselves instead of attacking the industry." Thankfully, this cynical strategy is having absolutely no impact. 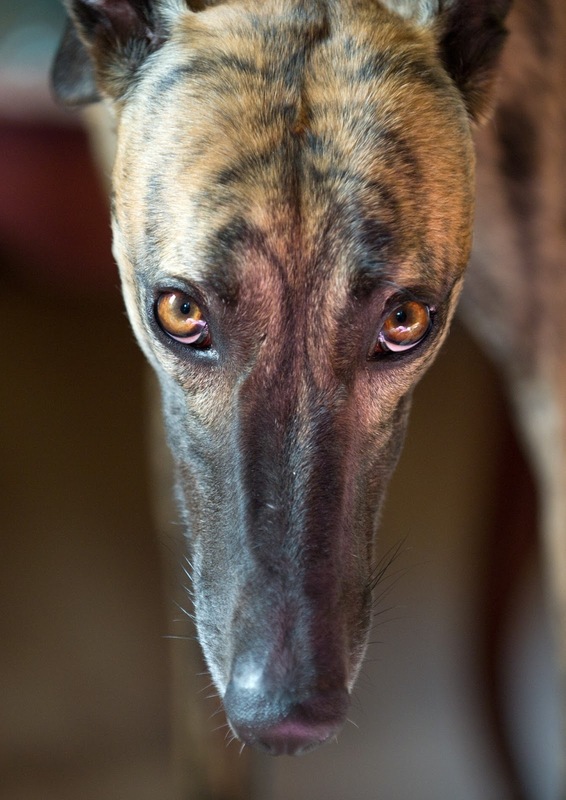 While greyhound breeders spend all of their time attacking us, dog racing continues to decline. Gambling on greyhound races has now dropped for nineteen consecutive years. That is why, most of the time, we simply ignore this nonsense. Dog race promoters can attack us all they want, while we stay focused on the task at hand. I also suspect that greyhound breeders believe they can somehow intimidate us with these caveman tactics. But instead, these personal attacks only inspire us to work even harder for the dogs. Once in awhile, though, it's worth taking a moment to diffuse some of the most egregious lies that dog race promoters spread about GREY2K USA and our work. For example, in recent days greyhound breeders have been circulating a phony chart which claims that GREY2K USA's two founders receive as much as 42% of all expenditures in compensation. There is, however, one problem with this claim. It is completely false. To arrive at these phony figures, greyhound breeders magically invented hundreds of thousands of dollars in expenditures that don't exist. Specifically, they nearly doubled salaries for every year over a six-year period by including statements that were filed with the Massachusetts Secretary of State, Lobbyist Division. Because GREY2K USA fights for greyhound protection laws, we are required in some states to register as lobbyists. Some of these states also require that we report part of our salaries. These are not additional expenditures, they are the same expenditures that we publicly report every year. To arrive at their phony figures greyhound breeders pretended as if these were additional expenditures, which is simply a lie. "WOW! They are the ultimate greyhound profiteers!!!" Of course it's deeply ironic that attacks like this, based on made-up phony numbers, would come from people who actually do profit from the suffering of greyhounds. GREY2K USA is effective because we employ a full-time staff of hard working, highly competent advocates who fight for the dogs. In 2011, 83% of all expenditures were used directly for programs including legislative advocacy, ballot initiatives, legal research and public education about the cruelty of dog racing. In 2011 our five employees all earned $41,580 or less, despite the fact that they have decades of advocacy experience and strong educational backgrounds, including an advanced degree and a law degree. GREY2K USA leadership earns a salary that is less than half the median salary for small non-profit Chief Executive Officers. In 2011 our opponents, the National Greyhound Association, spent $346,854 on salaries on benefits. That is more than double what GREY2K USA spent during the same period. The bottom line is that we are an efficient, effective non-profit organization that is winning the fight over dog racing despite being heavily outspent. These dog race promoters can make up all the phony numbers they want, and attack us until the greyhounds come home. It will have no effect on our campaigns, and will not save their cruel industry. These personal attacks should be seen for exactly what they are: the last gasps of a dying industry that doesn't realize its fate is already sealed. They realize that they are losing the battle. People do not want Greyhound racing to continue and Grey2KUSA is doing a fantastic job in closing down the dog racing. The more people sling mud - then the more the public realizes the facts as stated by Grey2KUSA are true and the more people will back the closing of these horrible race tracks.